This month the United States of America, and the world, have lost a true friend and fighter for freedom. 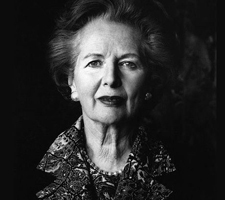 Margaret Thatcher, a strong-willed, impactful woman left the world more open than before, and more prosperous. Strong connections with the United States, especially with Ronald Reagan allowed for the ‘freedom duo’ to influence the world, in every aspect possible. Thatcher was the first woman in history to rise to the top of British politics, and remained in tenure for 11 years. Throughout those years the world saw the reversal of a global economic crisis, advancements in technology, and most notably the fall of Communism. The ‘Iron Lady’ propelled Great Britain onto the forefront of international debate over whether or not freedom would be allowed to remain oppressed in such a blatant manner, or opened for all of humanity to experience. Some argue that Thatcher was rigid, and not keen towards listening, but in fact she was one of the great compromisers of recent history. Gorbachev, Miners, Northern Ireland, and the British State were all a part of compromises under the policies of Thatcher. One of the most accomplished individuals, Thatcher rose from just a grocer’s daughter to a Baroness. 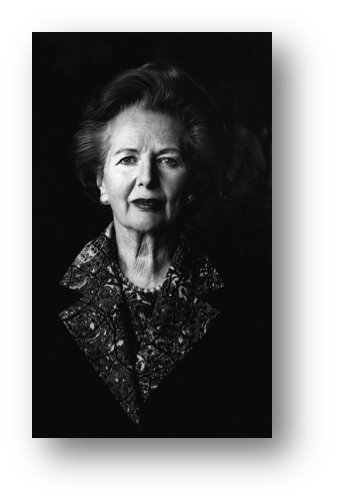 The essence of Thatcherism was free economics, and a strong state, “A country can prosper only by encouraging people to save and spend, no more than they earn.” Under her pilotage Britain became a global power, Capitalism spread, and Communism fell. Thatcherism is exactly what the world needs today; the will to fight for what you want, and the self-generated guidance needed to succeed. With heavy hearts we bid goodbye to Lady Thatcher. We’ll miss you Maggie. How did NYC's crime rate drop?